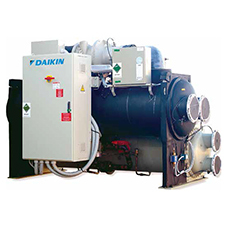 Daikin Applied has announced the launch of an Intelligent Management solution for chiller plant rooms. The new Intelligent Chiller Manager (iCM) offers maximum performance and reliability through a complete end to end control system that manages the startup, sequencing and staging of chillers to optimise energy usage by managing chiller capacity and load to operational demand with reduced maintenance requirements. The new iCM is the latest in a series of Applied System Control innovations introduced by Daikin. 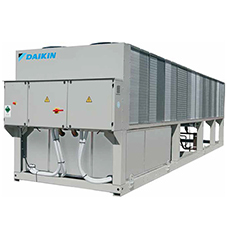 Available in cooling only, or heat pump versions, they offer a cost effective, versatile and efficient solution where high performance and reliability is required. The new iCM offers new features designed to optimise performance and energy. A built-in Operating Chiller Setting ensures that the number of operating chillers always stays within a certain range, regardless of changes in demand throughout optimal start-up, sequencing & staging functions. Furthermore, matching chiller capacity to load demand allows the system to intuitively capture a rise in demand when the last chiller is staged down, by operating the pump dedicated to the Next ON chiller at a minimum VFD frequency, increasing performance. The new system can determine whether chillers are available or not, by monitoring inputs directly from the chiller unit controllers, pumps and shut off valves. This minimises the risk of an unexpected breakdown by 24/7 alarm monitoring and emailing via Daikin’s remote monitoring and control system; Daikin Onsite. The iCM is instrumental in achieving an energy efficient chiller plant solution, determining which chillers are available for operation and controlling the order and the partial load ratio in which they are turned On and Off or Stepped Up and Down, depending on a range of factors including operating hours and energy efficiency targets while compensating for temperature and rotation to provide the most energy efficient combination and capacity usage. The new controller is available in two versions and it can be ordered together with the chillers or as standalone to retrofit into an existing chiller plant. 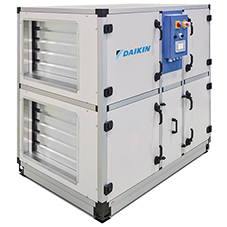 The Standard version comes supplied with a pre-set ready-made library of applications, offering a choice of three configuration options, depending on the number of chillers and peripherals to be managed and is suitable for up to a maximum of 8 chillers. A customised version is available which can be programmed for other applications and sizes of plant. Both versions provide the facility to measure and verify the energy efficiency of the plant. The new iCM also offers the possibility of remote monitoring and control. 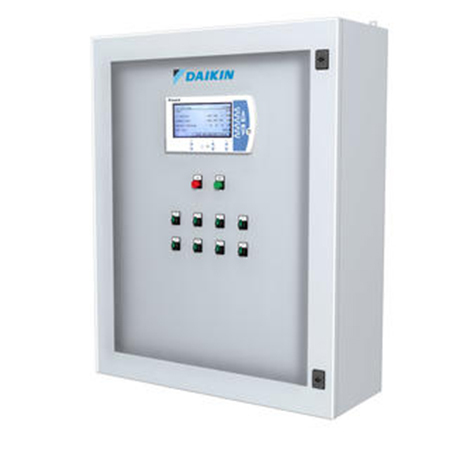 Operational data is collected and transferred via an internet connection to Daikin’s remote monitoring and control system. The iCM also allows integration with building management systems for improved intelligence.